Acrylic, Paper and collage on wood. Prints on wood block and archival art paper available. First in a new portrait series of Female Artists and Creatives. ‘Frida’, 8x8”,mixed media collage. 8x8” Mixed media on canvas, 1.5” painted sides. 3rd portrait in a series focusing on female artists and creatives. Sheet music collaged into the background; ‘A Natural Woman’. Written by Carol King, performed to perfection by Aretha Franklin. Second in a new portrait series of Female Artists and Creatives. 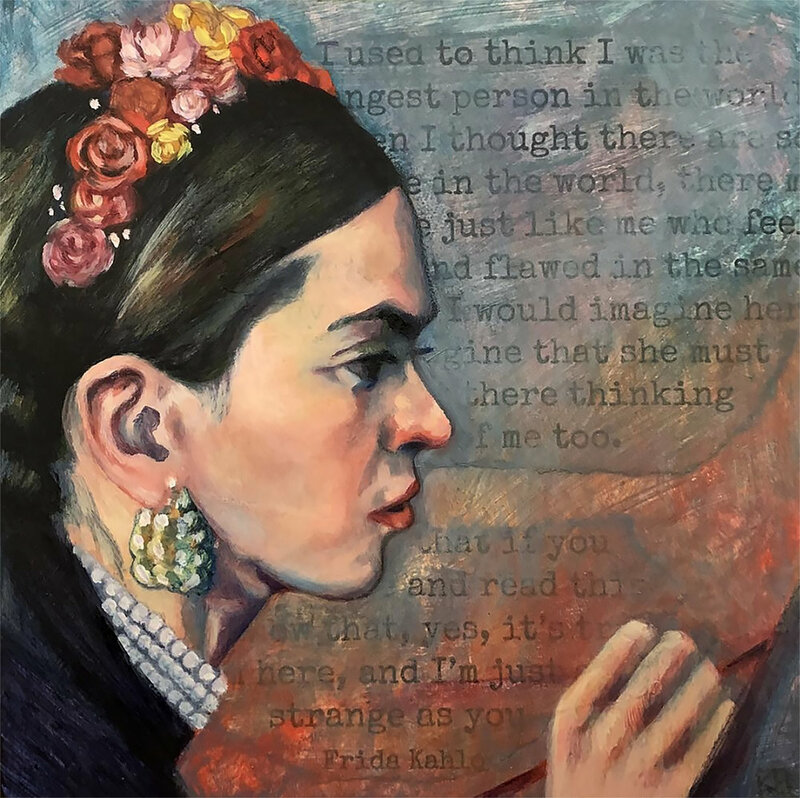 ‘Frida’, 8x8”, mixed media collage.